Keeping up with your vegan lifestyle can be a lot of fun. 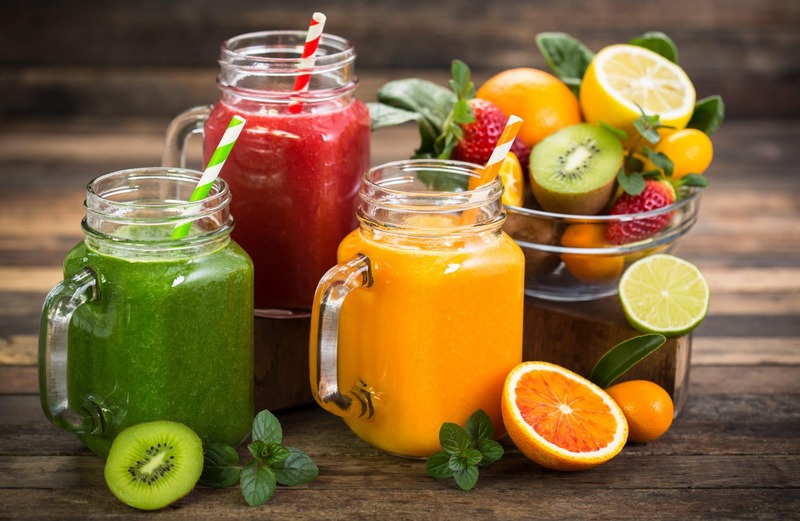 There are all kinds of unique things you can stir up in the kitchen, including smoothies in all sorts of colors and flavors. A good blender is a must-have in every vegan kitchen. Besides smoothies, it can make things like vegan ice cream and chocolate pudding. Take a look at these 15 recipes for vegan smoothies and other treats. Blend oats until they are a fine powder. Add rest of ingredients and blend for 1-2 minutes. Place all ingredients in a smoothie maker and blend until smooth. There are plenty of dairy-free chocolate treats available for vegans to enjoy. This shake takes advantage of milk-free chocolate to create a delicious shake that is high in protein to keep you full and satisfied. Place all ingredients except the almond milk in a blender and blend until smooth. Add milk and blend for an additional minute. 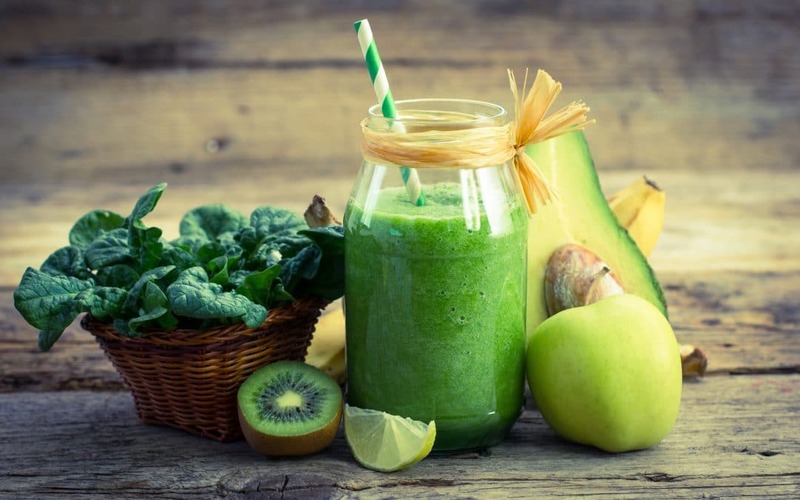 Making a green smoothie can involve as many or as few ingredients as you want. Throw in any kind of vegetable you desire. Adding almond yogurt gives it some extra creaminess. Combine all ingredients in a blender and blend to your desired consistency. This smoothie is made of mixed berries that give it a dark, rich color. Berries are natural antioxidants, meaning they help prevent damage to our cells. Mangoes are not only delicious on their own, they’re really easy to blend with other fruits to create enhanced flavors. Some commercial orange juice companies sell orange juice mixed with mango juice. Try it in this recipe, it’s really good. Place all ingredients in a blender and blend to desired consistency. Place all ingredients in a blender and blend until completely smooth. Place in a bowl in the refrigerator for 15 minutes. Top with coconut whipped cream or crushed chocolate cookies. Or both. Yum! Here’s another good chocolate treat to try. If you are a Nutella fan, but find yourself bummed that vegan Nutella doesn’t exist, this recipe will make you very happy. With this nacho cheese recipe, you can enjoy your next batch of nachos knowing it’s 100% vegan. Blend cashews into a butter. Mix in the rest of the ingredients and add hot water to reach the consistency you desire. Blend to desired smoothness. Pesto is a tasty spread and is great on sandwiches and crackers. It’s a healthy way to give your food extra flavor. Blend everything except the olive oil and water together. Then, add water and olive oil a small amount at a time while stirring constantly to reach desired consistency. Yes, it’s possible to make chocolate chip cookies that are 100% vegan. Use your blender to blend the dough, and then use your hands to create the small cookie dough balls. Add all ingredients except flour and chocolate chips into a blender. Blend until light and fluffy. Add flour and blend again. Once the batter is fully mixed, add chocolate chips and create dough balls. Chill dough for an hour and eat. Ice cream doesn’t have to have dairy to be delicious. This vegan ice cream treat is super simple to make, and the only tool you need to make it is your blender! Place frozen bananas in a blender and blend until smooth. Freeze overnight. Top with chopped walnuts. Has this list of recipes whet your appetite? Then you surely want to create some of these delicious and simple vegan recipes on your own. They are all quick, easy, and sure to impress. They may even inspire you to come up with some new ideas of your own. The possibilities are endless! For phenomenal smoothies that help you kick-start your health and fitness, go to http://smoothieshred.com/, sign up for the email and join the facebook group for super healthy, hyper-nourishing recipes and expert support!